Life isn't fair, the reality is some people are born with medical conditions and others are less likely to deal with debilitating illness. 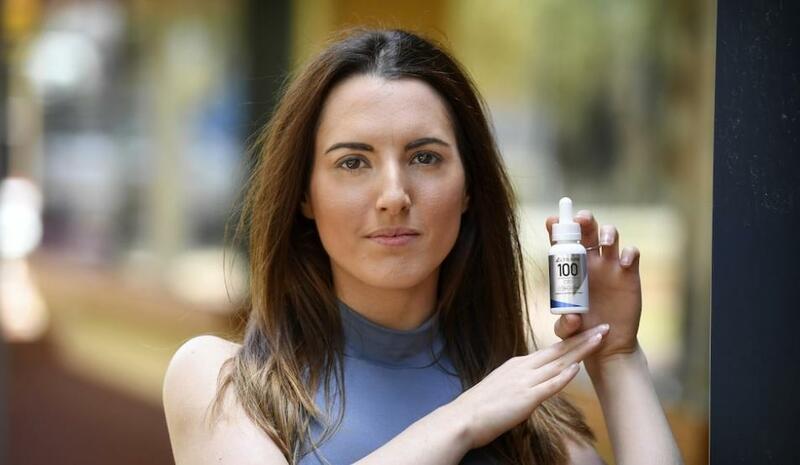 In the case of a Perth woman who works at a pharmacy named Amanda Merendino, she has to work two jobs to afford the only medication that could keep her seizures at bay, sometimes up to 9 a day. Miss Merendino has epilepsy and she has had it since she was 12-years-old, so life has not been easy for her. Now 29, she must pay almost $600 for a month's supply of Tilray medical cannabis, a cost that is barely within her financial reach. If you were to ask Miss Merendino what medical marijuana did for her she would tell you it not only changed her life but it transformed her from a literal skeletal "zombie" on very, powerful medication in order to help keep the seizures at bay. This is a terrible existence, and when she found out her weight had dropped to 42kgs, she knew she had to make a change. People even thought she might have suffered from an eating disorder due to her rapid weight loss, but this was merely side effects of her prescription epilepsy pills. Thankfully, the laws on medical cannabis are slowly but surely loosening in Australia as well. The Therapeutic Goods Administration had approved 2339 special access scheme applications for unapproved medical cannabis products with nearly 600 of those approvals in the last month. Across all of Australia, only 52 doctors are allowed to prescribe medical cannabis, a natural plant, but not products are allowed to be subsidized under the Pharmaceutical Benefits Scheme, in ignorant bias indeed. Miss Merendino said that her seizures would come on with no warning other than a quick snap of her arm flicking upward. "Before I knew it I’d be on the floor and then two hours later I’d wake up and my mum would have me on the bed and I’d be so tired," Merendino explained. "I had medication to control the fits but the side effects were so bad that I had no energy and would have to have a sleep as soon as I got home from work." This is just one of the thousands of similar stories across many countries where marijuana remains federally illegal. Since starting to take medical cannabis, Merendino's symptoms and seizures have dropped dramatically but she still takes a medication to help control "blank-outs", or short periods where a person loses awareness. Medical cannabis has entirely replaced the other drugs that were used to combat the seizures itself. "I’m so much healthier now, you can see it in my face and body," Miss Merendino said. "But I’m paying $450 for a 25-day supply of medical cannabis. The only way I’ve been able to afford it is because I live at home and sometimes work at night as well — and even then I struggle." One of the largest global producers of medical cannabis is lobbying governments to contribute to the cost in the same way they do when it comes to other prescriptions and pills. Philippe Lucas, Vice-president of global patient research and access, said that his company believed there should be a way for patients in Australia to have reasonable access to medical cannabis. "Unfortunately, research has shown that cost is a very real obstacle to access in many jurisdictions, so we work with government regulators and insurers to increase cost-coverage for patients wherever we can," he said. "We believe that Tilray medical cannabis has met the standard of safety and efficacy to be recognized as a medicine and therefore should not be taxed any differently than other prescription drugs."